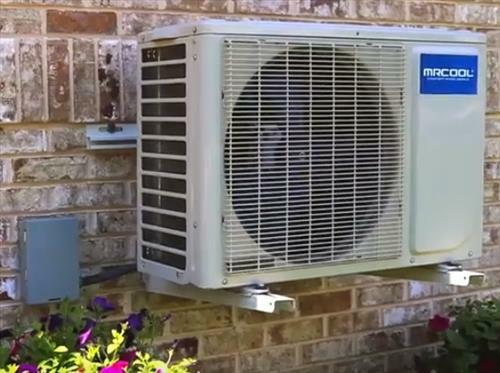 The most common method for installing a mini split outside condenser is on the ground but it can also be installed on a wall. There is no single way to install a mini split with each install different needing to match the home and climate. The main advantages of a wall mounted unit is keeping snow off as well as animals away. Area with heavy snow fall during the winter often use wall mounts since a unit buried in the snow will have problems operating. Dirt and weeds can also get in the way of a mini split working properly with a unit higher off the ground not having this problem. The downside is possible noise vibrations along with the look needing to match a home. A unit properly mounted on a solid wall should have minimal noise. 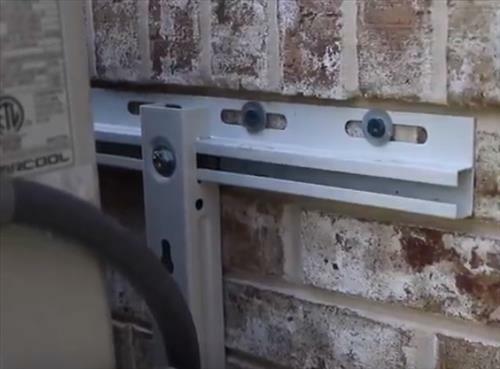 The unit will need to be well mounted on studs or bolted into a brick or cement wall. 1… The first step is to examine the wall and see how the bracket will be bolted on. Walls made from a wood frame will usually have studs every 16 inches. A cement or brick wall will need anchor bolts. 2… Next the right size and style bracket will need to be bought. There are many different sizes and styles available simply find the best one that will match your unit. 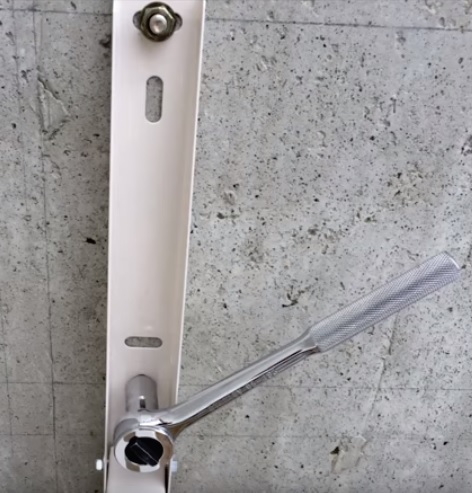 3… Mount the bracket on the outside wall using the right bolts or screws. It will need to be level and bolted on to studs or anchors. Should You Install a Mini Split with a Wall Mount or on the Ground? Since every home will have a different scenario with weather, look, and other factors there is no single best way. A home located in a location with heavy snow fall will benefit from mounting a unit higher off the ground. A home located in a moderate climate but away out in the country side may benefit keeping animals away. These are simply some examples with no doubt many other scenarios. Have you installed a mini split system on an outside wall let us know your experience below in the comments.